This classic of American literature, a dramatic autobiography of the early life of an American slave, was first published in 1845, when its author had just achieved his freedom. Its shocking first-hand account of the horrors of slavery became an international best seller. His eloquence led Frederick Douglass to become the first great African-American leader in the United States. 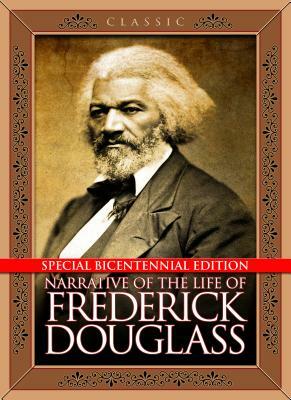 This special bicentennial re-release of the original edition includes the “Frederick Douglass Bicentennial Commission Act” enacted by Congress in 2017. Douglass rose through determination, brilliance, and eloquence to shape the American Nation. He was an abolitionist, human rights and women’s rights activist, orator, author, journalist, publisher, and social reformer. His personal relationship with Abraham Lincoln helped persuade the President to make emancipation a cause of the Civil War. Tell us what do you think about Narrative of the Life of Frederick Douglass.